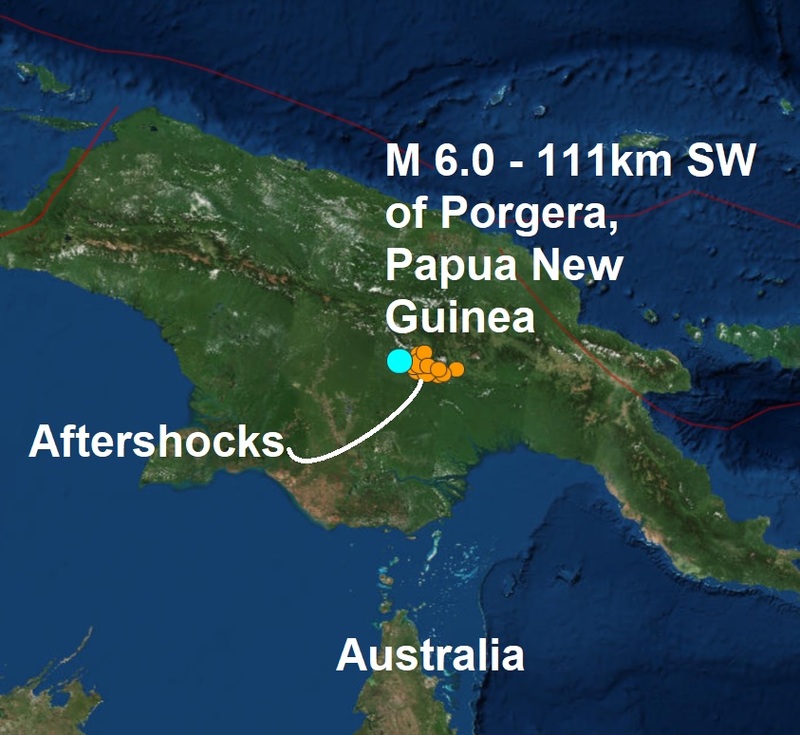 Another major quake has rocked Papua New Guinea during the night, almost a hundred heavy aftershocks have struck the area since a magnitude 7.5 quake rocked the rugged Southern Highlands province some 560 km (350 miles) northwest of the capital, Port Moresby, triggering landslides, damaging mining, gas and power infrastructure, and cutting communications. According to Reuters, whole villages were flattened and water sources spoiled by a powerful earthquake that killed at least 20 people, residents said on Wednesday as rescuers struggled to reach the hardest-hit areas in Papua New Guinea’s remote, mountainous highlands. Scores of aftershocks have hampered rescue efforts and rattled nervous villagers over the past two days, including a 6.0 tremor just before 1 p.m. (0300 GMT) on Wednesday registered by the U.S. Geological Survey. Last nights mag 6 is the 23rd major quakes to hit our planet this year, 22 of them have occurred during coronal activity on the Sun and 19 of them has been around the very volatile Pacific Ring Of Fire. Today's major quake is the 11th of February.